November is Manatee Awareness Month! So, in honor of this gentle sea cow, we decided to do a post highlighting a few of the similarities and differences between manatees and dolphins! 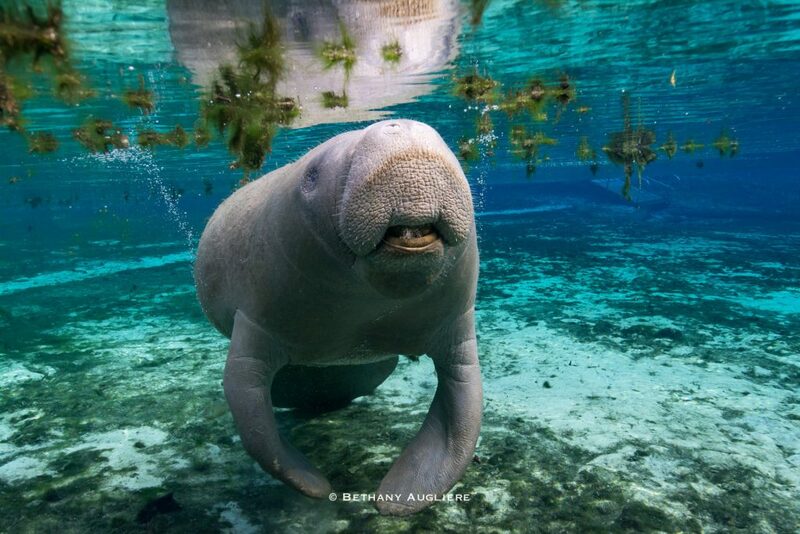 A Florida manatee swims in a freshwater Florida spring. 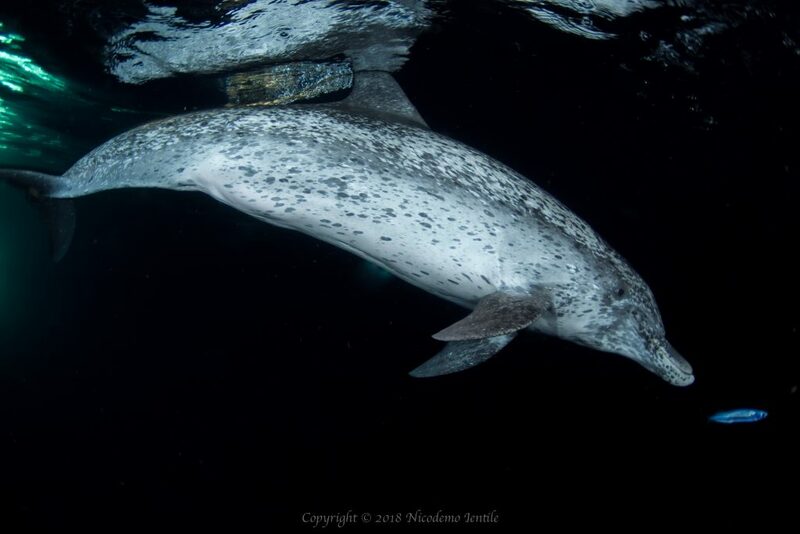 Both are marine mammals, which means they are mammals that rely on the ocean and marine ecosystems for their survival. Other marine mammals include polar bears, sea otters, seals, sea lions, walruses and of course, whales, dolphins and porpoises. As mammals, both manatees and dolphins must surface to breathe air. They also nurse their young with milk produced by mammary glands. The placement of these mammary glands is different, however. In manatees, the teats are up in the armpit region of their front flippers. In dolphins, the mammary slits are farther down their bodies, on either side of the genital slit just before the fluke. Dolphin calves get milk by curling their tongue to form a cone, which they place up to the slit to release the milk. 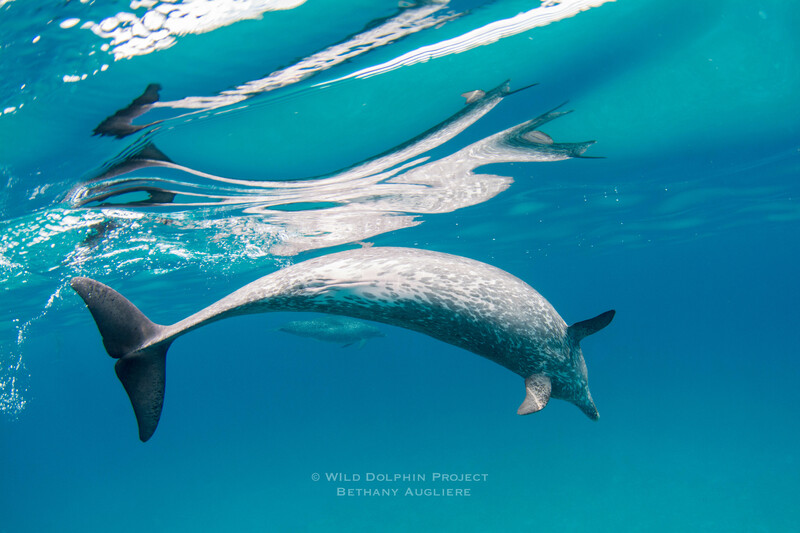 Look closely and you can see the two mammary slits, next to the longer genital slit, on this female Atlantic spotted dolphin. And just like all mammals, both dolphins and manatees have hair. Manatees maintain hair all over their bodies as adults and whiskers by their mouths. Dolphins are born with a few hairs on their “beaks” or rostrums, but they fall out shortly after birth. While dolphins lose the few hairs they are born with shortly after birth, manatees have hair all of their bodies and even whiskers up by their mouths. First, dolphins and manatees have different evolutionary histories and thus, characteristics, which means they are classified and grouped differently. The system of classifying living animals is referred to as taxonomy. 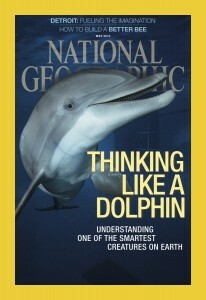 Dolphins are part of the taxonomic Order Cetacea, which includes whales, dolphins and porpoises. It includes about 80 species. Dolphins are carnivores, feeding primarily on fish and squid. They are completely aquatic with two front flippers and a powerful fluke. While some species of dolphins, like the Amazon River dolphin, can live exclusively in freshwater, most dolphins primarily live in saltwater. An Atlantic spotted dolphin in the Bahamas, chasing a flying fish at night. Photo by Nicodemo Ientile. Manatees, on the other hand, are part of the much smaller Order Sirenia, with just four living species: West Indian Manatee, African Manatee, Amazonian Manatee and Dugong. Manatees and Dugongs are herbivores that feed on aquatic vegetation, like sea grass and algae. 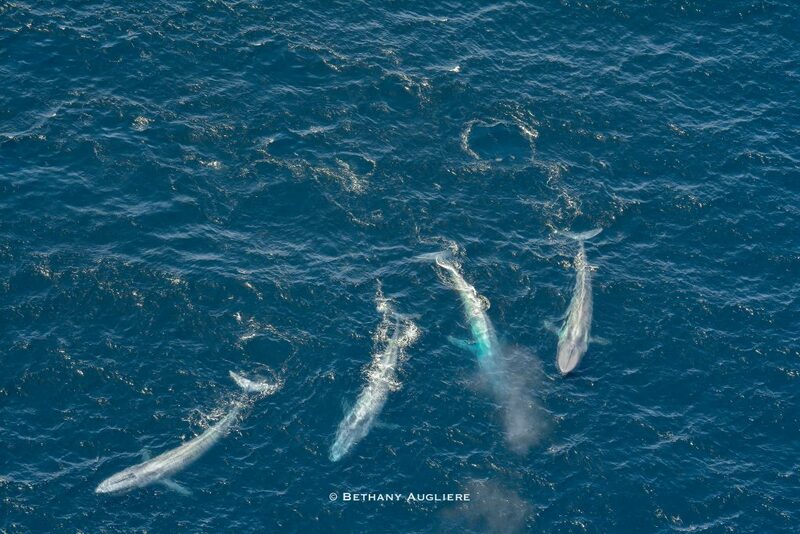 They spend time in salt, brackish and freshwater. 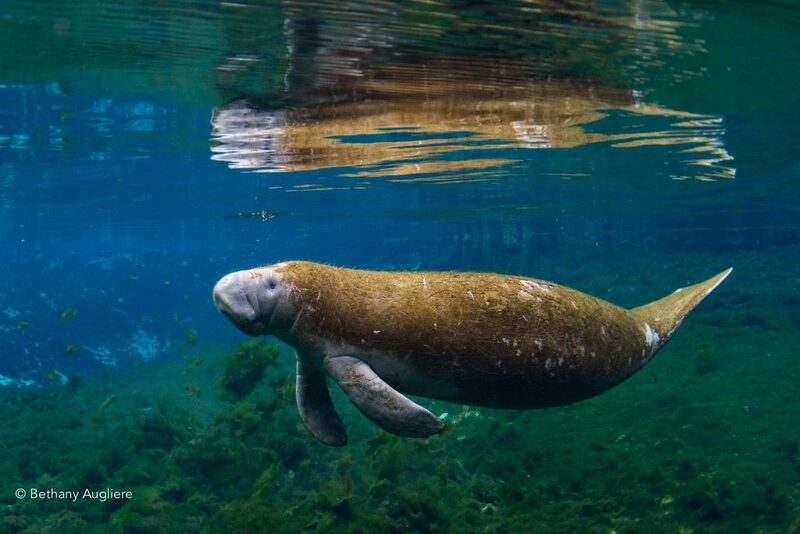 In Florida, manatees are commonly seen in the freshwater springs, especially during winter when they escape to the springs to warm up and rest. 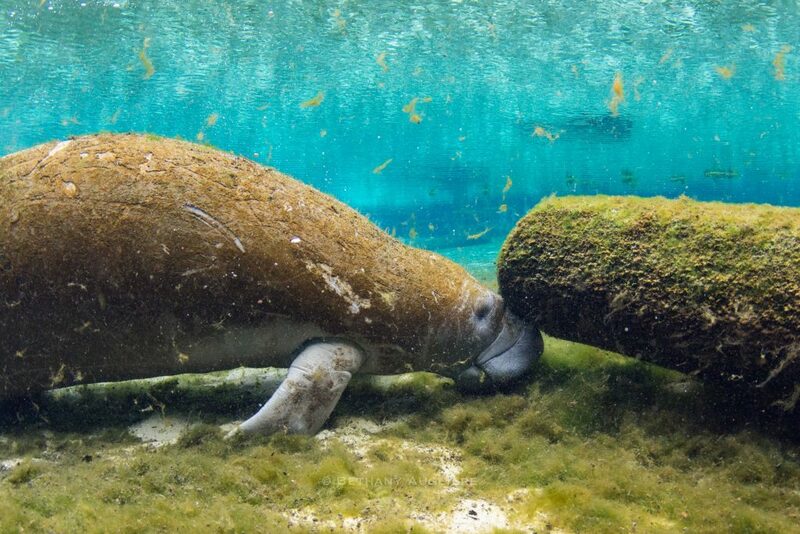 A manatee scratches it’s nose while warming up in a Florida freshwater spring during a cold snap during winter. And lastly, while dolphins have cone-shaped teeth with just one set for life, manatees have molars that constantly get replaced throughout their life. While there are many more differences, those are just a few! Remember both manatees and dolphins are protected under the Marine Mammal Protection Act. It is illegal to harass, disturb or feed marine mammals in the wild.